MISSOULA – Helen R DoBell was 72 years old and passed away on March 22, 2017, at St. Patrick Hospital in Missoula due to a sudden illness. Helen was born on February 3, 1945, in Oklahoma City, Oklahoma. Helen was preceded in death by her parents Robert Joseph DoBell Sr. and Helen Currier DoBell. Helen received two doctoral degrees, one in theology and the other in psychotherapy from the University of Chicago and C. G. Jung Institute of Chicago. 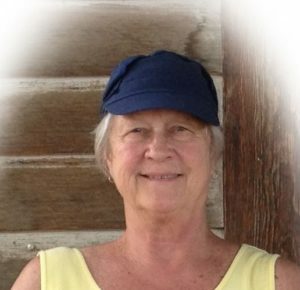 Helen loved to quilt, garden, watch wildlife, and float the Blackfoot River. She was deeply involved with the Catholic Church and her faith was a very important part of her life. Helen believed in helping others and the power of positive relationships. Helen grew up in Albuquerque, New Mexico where she graduated from Highland High School in 1965. After high school, Helen attended The University of New Mexico where she was a competitive swimmer, and earned a bachelors degree in physical education. Upon graduation she moved to Greeley, Colorado where she earned a masters degree in physical education and served as the coach of the women’s swim team while teaching undergraduate courses. Helen then moved to Whittier College in Whittier, California where she worked in the physical education department for four years. Helen was then compelled to move to Nerinx, Kentucky where she joined the Sisters of Loretto. While in Nerinx, Helen focused her attention on the church where she remained for ten years. Eventually, Helen moved to Chicago, Illinois where she finished her advanced degrees and opened a very successful private clinical counseling practice rooted in the teachings of Carl Jung and the Jungian Institute of Chicago. In 2006, Helen retired to Missoula, Montana where she could be near family. Helen opened a small private counseling practice and continued to develop relationships and serve the Catholic Church. Helen developed many friendships during her time in Missoula and served as a member of the pastoral staff, director of faith formation and Christian formation at Blessed Trinity. Helen is survived by her brother Robert Joseph DoBell Jr., nephew Robert Douglas DoBell, and niece Genevieve Cathleen DoBell-Siewell, her husband Jesse Siewell, and their two children Hunter and Douglas.